Associate Professor Pete Schulte has been awarded a prestigious artist residency at the Chinati Foundation in Marfa, Texas. Founded in the late 1970s by sculptor Donald Judd, the Chinati Foundation has hosted renowned and emerging artists including Ingólfur Arnarsson, John Newman, John Wesley and Karl Haendel. Schulte, who was the recipient of the South Arts State Fellowship for Alabama in 2017, said that this is one of the more prestigious residencies for visual artists. “I am quite honored to have received it,” he said. Now a mecca for artists, the town of Marfa is located in the Chihuahuan Desert of west Texas. The Chinati Foundation provides resident artists with a furnished apartment on the grounds of the Foundation’s museum as well as a studio in Marfa. Artists have unlimited access to Chinati’s art collection and archive, and the museum staff and interns are available to assist in securing materials and preparing exhibitions. A stipend of $1,000 is provided to assist with travel and art materials. Pete Schulte has taught drawing at The University of Alabama since 2011. He received the MFA in painting and drawing from the University of Iowa. Schulte has held solo exhibitions at Jeff Bailey Gallery, Hudson New York; Whitespace, Atlanta; Luise Ross Gallery, New York City; Biggin Gallery at Auburn University; and UAB Visual Arts Gallery at the University of Alabama at Birmingham. 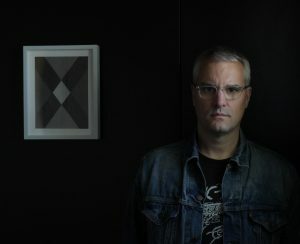 His work has been in recent group exhibitions at Zeitgeist Gallery, Nashville; Museum of Contemporary Art of Georgia, Atlanta; Transmitter Gallery, Brooklyn; Galerie Look&Listen in Saint-Chamas, France and Jeff Bailey Gallery, New York City. Schulte has been awarded art residencies at the Hambidge Center, Yaddo, Bemis Center for Contemporary Arts, Atlantic Center for the Arts and Threewalls. His work has been reviewed in Art in America, World Sculpture News, Burnaway and New Art Examiner, among other publications. In 2013 he co-founded The Fuel And Lumber Company curatorial initiative with artist Amy Pleasant. 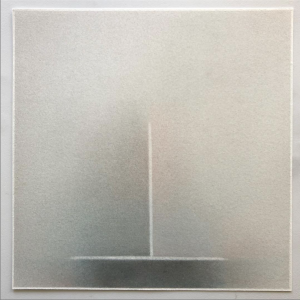 His work is represented by Jeff Bailey Gallery in Hudson, New York and by Whitespace in Atlanta.